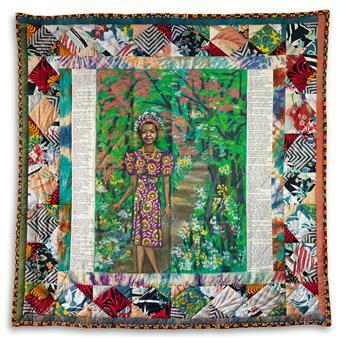 FAITH RINGGOLD (1930 - ) Mayas Quilt of Life. 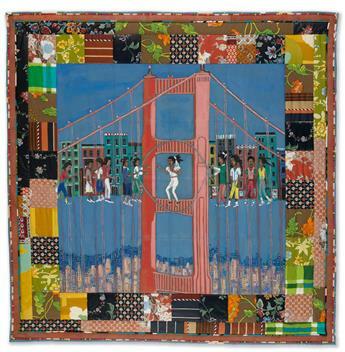 FAITH RINGGOLD (1930 - ) Double Dutch on the Golden Gate Bridge. FAITH RINGGOLD (1930 - ) Somebody Stole My Broken Heart. 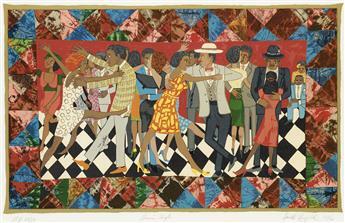 FAITH RINGGOLD (1930 - ) Night: Window of the Wedding 8. 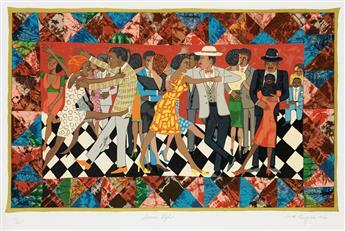 FAITH RINGGOLD (1934 - ) Coming to Jones Road: Under a Blood Red Sky. 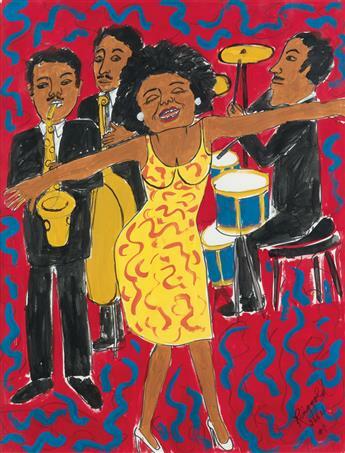 FAITH RINGGOLD (1934 - ) Bessie Blues. 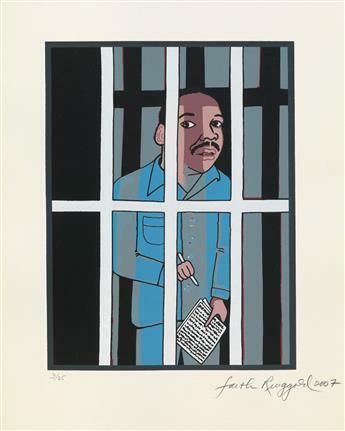 FAITH RINGGOLD (1930 - ) Letter From Birmingham City Jail.